This is the style we're going for. This was a display at Art Tile. We were very creative shamelessly copied the entire design for our bathroom. 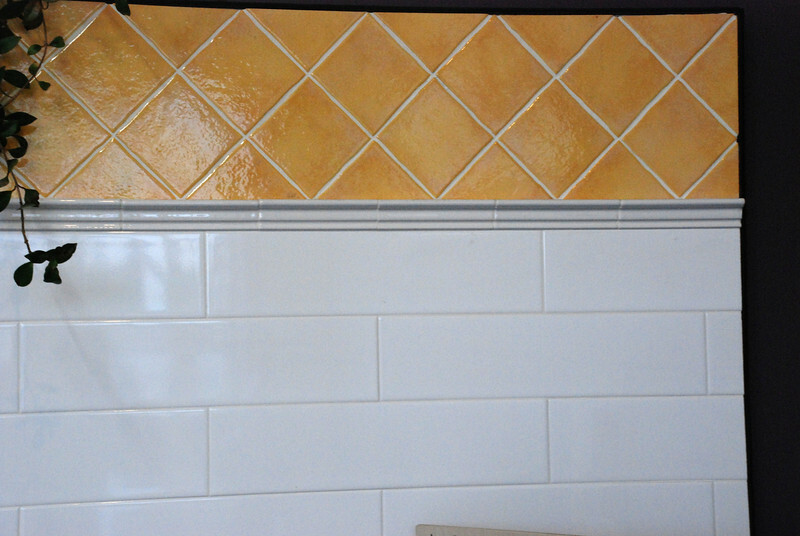 For scale, the yellow tiles are 4 inches by 4 inches. The white tiles are 4 inches tall by 16 inches wide.